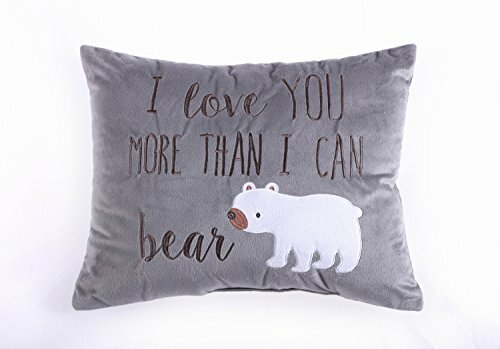 It has "I Love You More Than I Can Bear" embroidered onto a gray plush fabric with an adorable bear applique. Machine wash cold, gentle cycle, tumble dry low. Wash separately. Do not Bleach. Iron on lowest setting as needed. If you have any questions about this product by Levtex Home, contact us by completing and submitting the form below. If you are looking for a specif part number, please include it with your message.